Murata Manufacturing Co., Ltd. (TOKYO:6981) (ISIN:JP3914400001) expands its MEMS sensor manufacturing by building a new factory in Vantaa, Finland to increase the sensor production capacity. Total value of the investment is five billion yen. With the expansion, the company estimates to create 150–200 new jobs in 2018–2019. The MEMS sensors manufactured by Murata in Finland are used in applications such as car safety systems and pacemakers. Murata, a world leading manufacturer of electronic components, is significantly increasing global production capacity, including most recently its factory located in Finland. 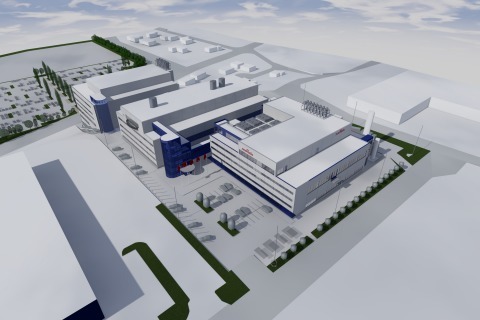 After having recently purchased the previously leased buildings, the company will construct a new building of approximately 16,000 square meters. The new facility is scheduled to be completed by the end of 2019. The total value of the investment is five billion yen and is underpinned by the growing worldwide demand for MEMS sensors used in the automotive industry and various health and industrial applications. "The market for advanced driver-assistance systems, self-directed cars, healthcare, and other emerging technologies are expected to be significant growth drivers. MEMS sensors are critical solutions for these applications and deliver proven measurement accuracy and stability in a variety of conditions," said Yuichiro Hayata, Managing Director for Murata Electronics Oy. “With the construction of this new production building, we will significantly increase our MEMS sensors production capacity. Moreover, by responding to the strong demand of gyro sensors, accelerometers, and combo sensors in the automotive, industry and healthcare fields, this will strengthen our business base in the automotive market, industrial equipment and medical devices market, while contributing to the economy and employment of Finland,” stated Makoto Kawashima, Director of Sensor Product Division in Murata Manufacturing. With the factory expansion in Finland, Murata will strengthen both R&D and manufacturing operations with a long-term perspective for increasing utilization of this facility. The company currently employs 1,000 people in Finland and estimates to create 150–200 new jobs in 2018–2019. Murata acquired the Finnish company VTI Technologies – today known as Murata Electronics Oy – in 2012. It is the only factory of Murata which manufactures MEMS sensors outside of Japan, and has experienced tremendous growth over the last 10 years. This site in Finland also hosts R&D space and one of the biggest clean room facilities in the country. Murata Electronics Oy is part of the Japanese Murata Group. The company is located in Vantaa and specializes in the development and manufacture of 3D MEMS (micro electro mechanical systems) sensors mainly for safety critical applications in automotive, as well as in healthcare and industrial applications. The company employs 1000 people in Finland.